August, 2008-Daddy, cozy me up, I'm cold! What a wonderful touching moment! I love daddy and little girl photos. I guess because it is something I don't have for Tara. Aww, I love cuddly moments like this! Aww, my little girl does the same thing. Cute! Aw, how sweet! It's a good day here for cuddling, too! That is such an incredibly sweet snap. Lovely. 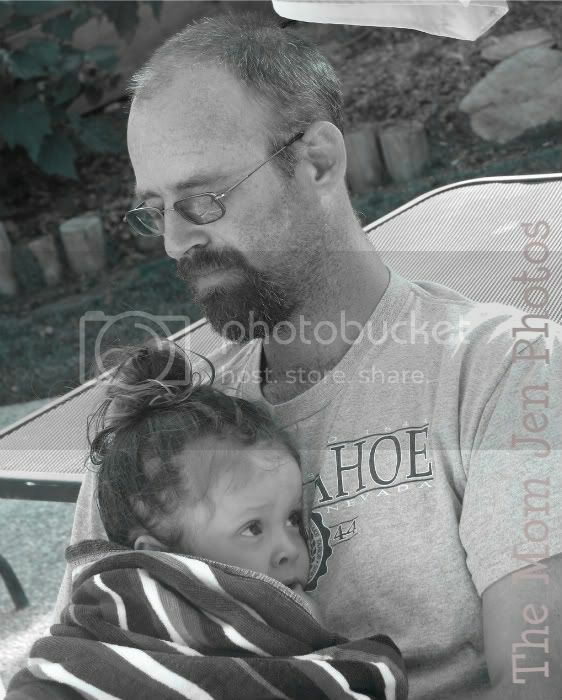 There is nothing sweeter than pictures of little girls with their Daddys! Melts my heart! That is just the sweetest photo. I love the bond that little girls have with their daddy's. Daddy's and their daughters. Nothing sweeter! What a sweet picture !